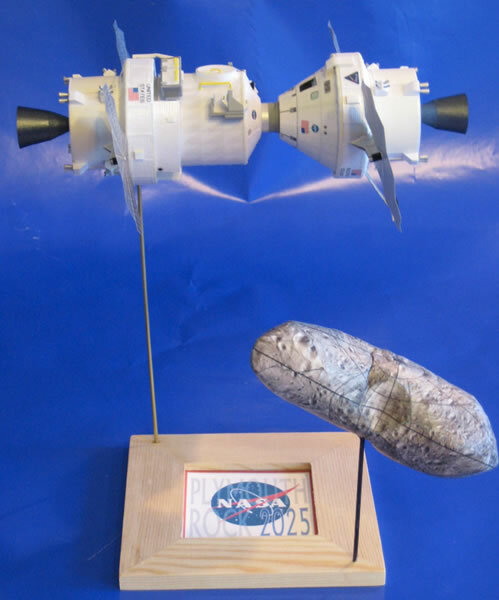 In early 2010, President Obama set a 2025 goal for a crewed science mission to a Near Earth Asteroid. 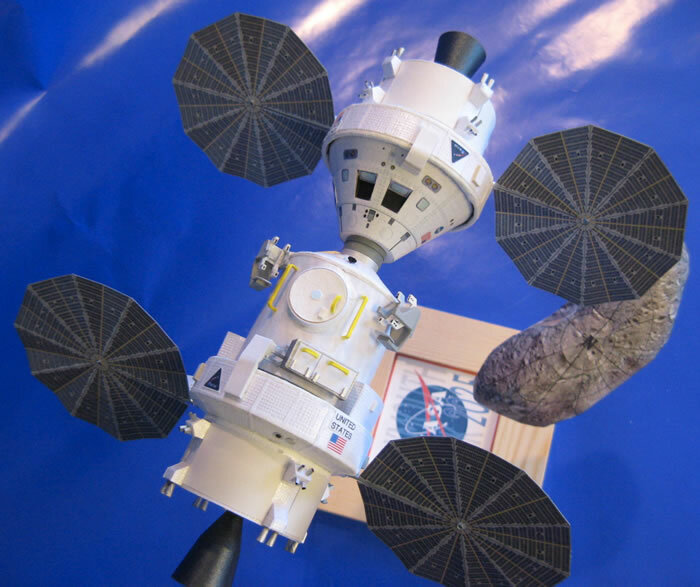 The “Plymouth Rock” mission would fly to an asteroid and then astronauts would explore it, retrieve samples and return home. 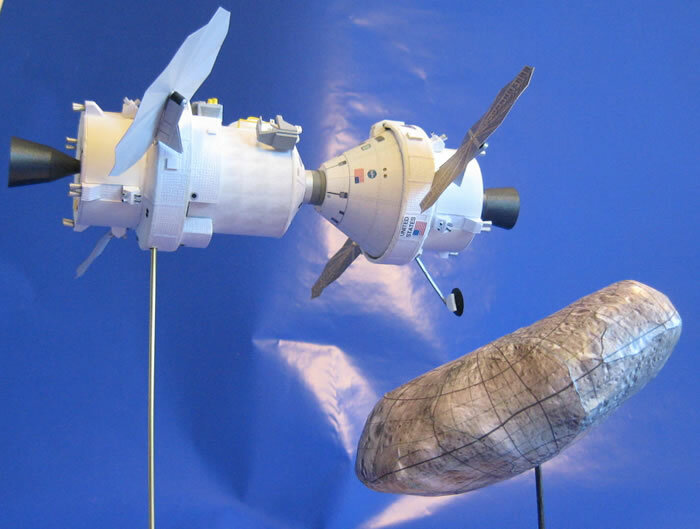 A Lockheed Martin proposal uses a standard Orion Crew Exploration Vehicle docked with a stretched-cabin version of the CEV known as the Orion Deep Space Vehicle (DSV). 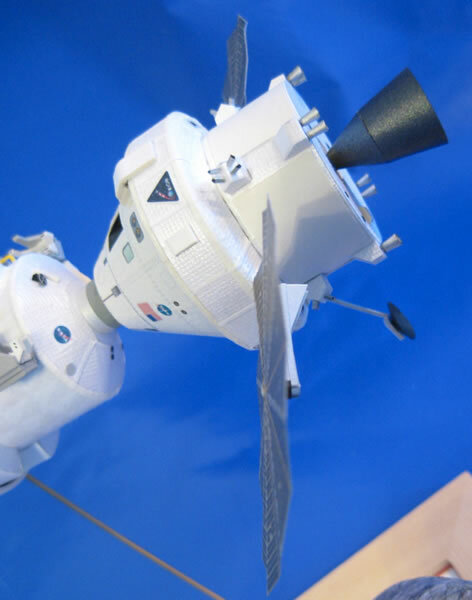 This model is based on depictions in a June 2010 Lockheed Martin white paper on the proposed mission. My Orion and Orion DSV models are based on an Orion card model offered by designer Ton Noteboom and available for free online. I used Ton's parts as templates to scratchbuild my own, but deviated from his plans by building the “big mouth” version of the Service Module, which is the latest design of the SM that has a larger upper portion to better protect the Crew Module’s heat shield from micrometeoroid and orbital debris (MMOD). I used model rocket tubes and toilet tissue tubes – cut to the appropriate lengths and diameters – for various parts of the two spacecraft. 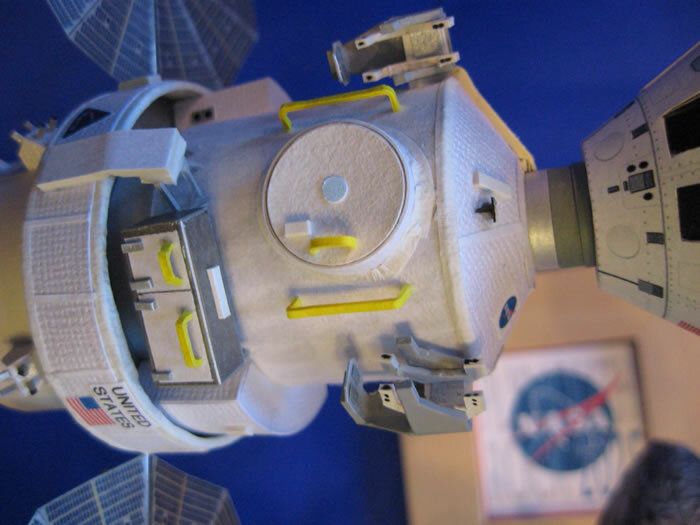 Several different types of papers and cardstock were used throughout, including a pearlescent textured cardstock to replicate the thermal insulation blankets covering the SM, portions of the DSV’s stretched cabin and the MMOD covers for the oxygen and nitrogen tanks. I also used four different kinds of metallic papers, regular white and colored cardstock, stiffened paper towels and regular weight copy paper. The models are all paper except for the UltraFlex Solar Array arms, which are aluminum tube. The asteroid Eros was built stock from a cardmodel offered free online by Chuck Clark. His model is based on P.J. Stooke’s photomosaic and P.E. Clark’s mapping précis. I enlarged the model from the original.